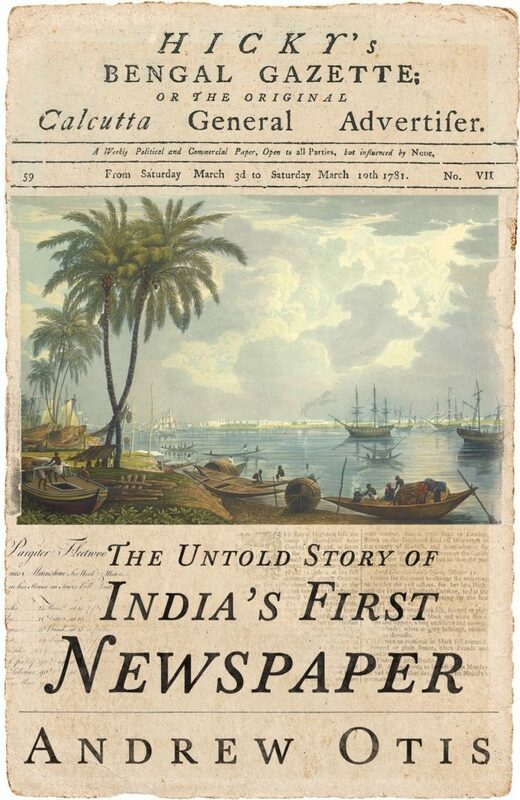 Hicky’s Bengal Gazette: The Untold Story of India’s First Newspaper is available. Purchase it now on Amazon India! Andrew Otis’s non-fiction book is set in 18th century Calcutta, the center of British strength in India. His story focuses on three main characters: the journalist, James Augustus Hicky, the missionary, Johann Zacharias Kiernander, and the Governor General, Warren Hastings. In a time of great change in India, Hicky wrote to expose corruption in the East India Company and embezzlement in the Christian Church. But he faced the wrath of a Governor General eager to stamp down on dissent, and the divine retribution of a missionary eager to prove he had stolen nothing from his charity for orphaned children. Up against both the Church and State, Hicky fought valiantly for the freedom of the press. Was Hicky able to bring the Governor General and Missionary to public justice? Or were they able to suppress his reporting for eternity? Based on years of archival research, Andrew is telling this story in its entirety for the first time, using previously untouched primary sources from India, Germany and the UK. Not only is the story a microcosm of global affairs and colonialism, but it is a tangible reminder of the importance of freedom of expression through culture and time. Andrew hopes his book’s engaging content will foster cross-cultural communication between the past and the present, and between the diverse histories of India, the UK and the US. Follow Andrew as he tells this thrilling story of adventure, courage, and a willingness to sacrifice everything for the freedom of the press. You can read what the press has to say.